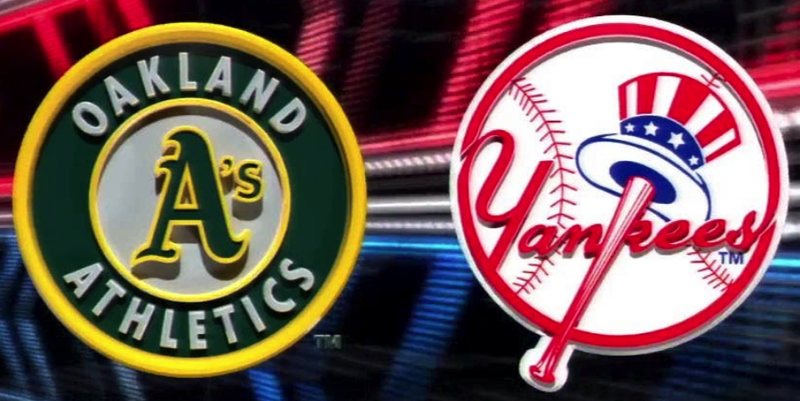 Pretty much everyone with a baseball IQ above John Sterling's thinks the Yankees will smoke the Oakland A's tonight at The Concrete Bunker On 161st Street. But last night's epic Rockies win over the Cubbies at Wrigley demonstrates that anything is possible in a single elimination game in October. Plus, despite their rag-tag image, the A's have been amazingly good away from the Oakland Mausoleum. They were 47-34 on the road this year—and they led the majors in runs, HRs, OPS and total bases away from the Bay Area. True, they will be "opening" with a bunch of no-names on the mound—but their bullpen has actually been pretty solid in 2018. Moreover, the Yankees have made the curious choice of starting Luis Severino tonight—probably their third best starter right now. That's fine with us. So, when Khris Davis, old-buddy Jed Lowrie and the other "nobody's-heard-of-us" A's take the field tonight, they have a legitimate shot to send The Pinstriped Posers on a long golf outing.